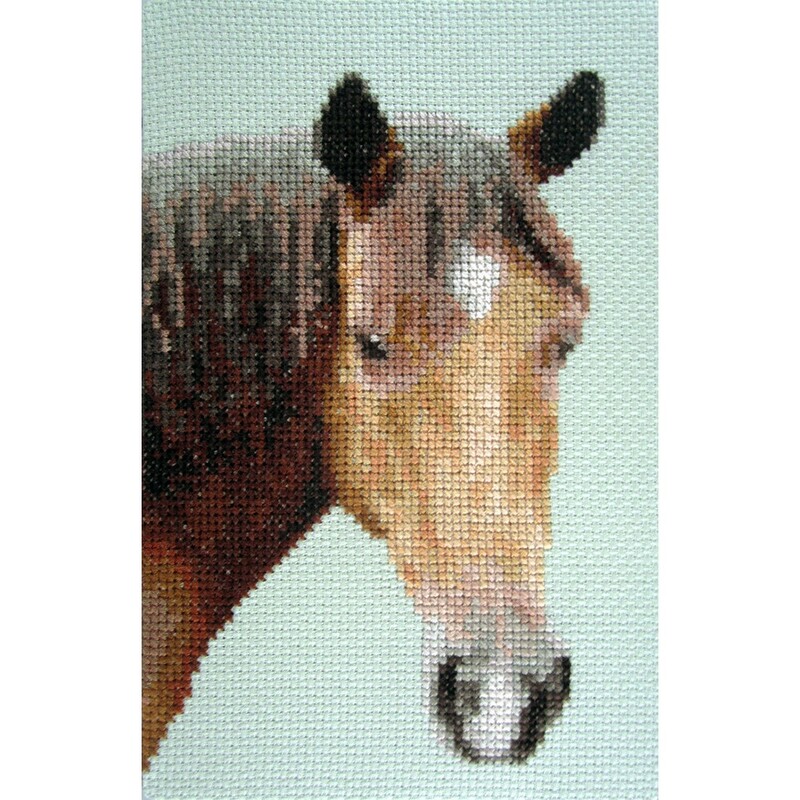 A realistic small cross stitch kit of a brown horse. 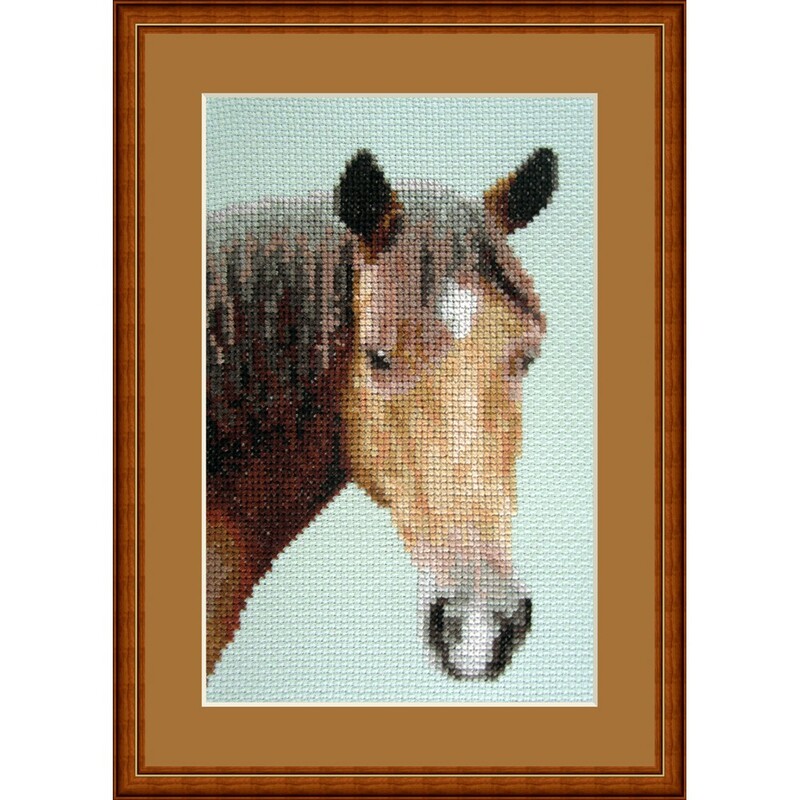 This horse seems to be ready for a ride! 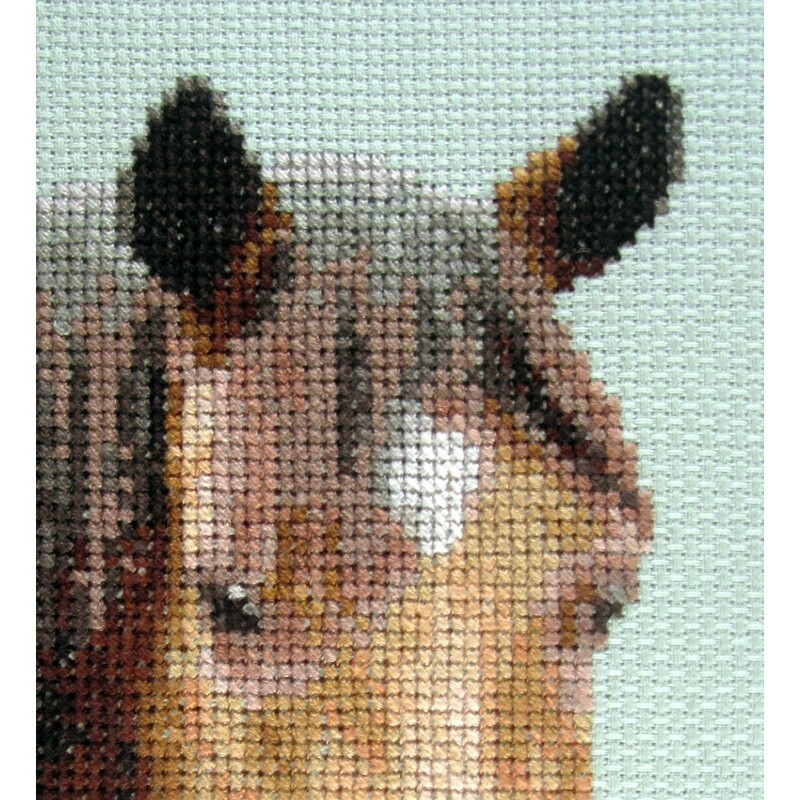 Design is stitched with 26 colors DMC thread and made on 14 ct Mintgreen aida by Zweigart.